Tired of those plain Jane folding chairs? Sheer fabric sashes tied into rosettes change the look from plain to pretty. 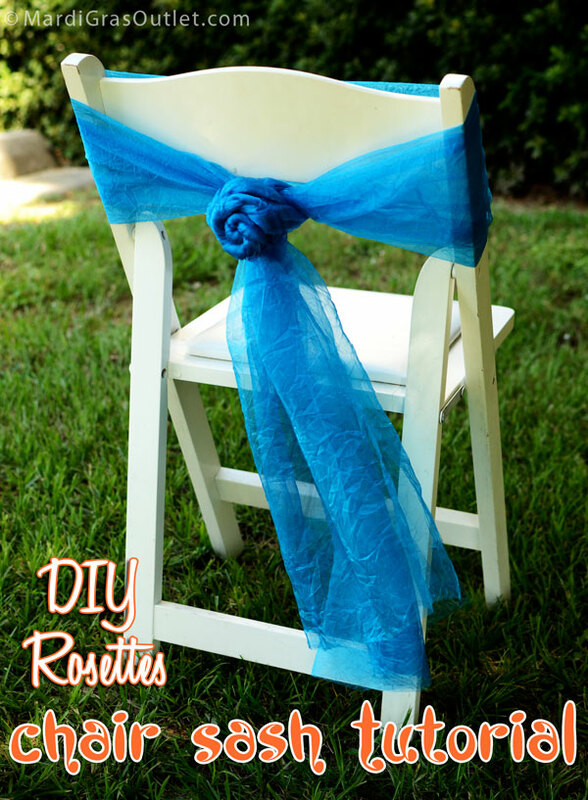 This tutorial will show you how to tie your own beautiful chair bow rosettes with ribbon or fabric. 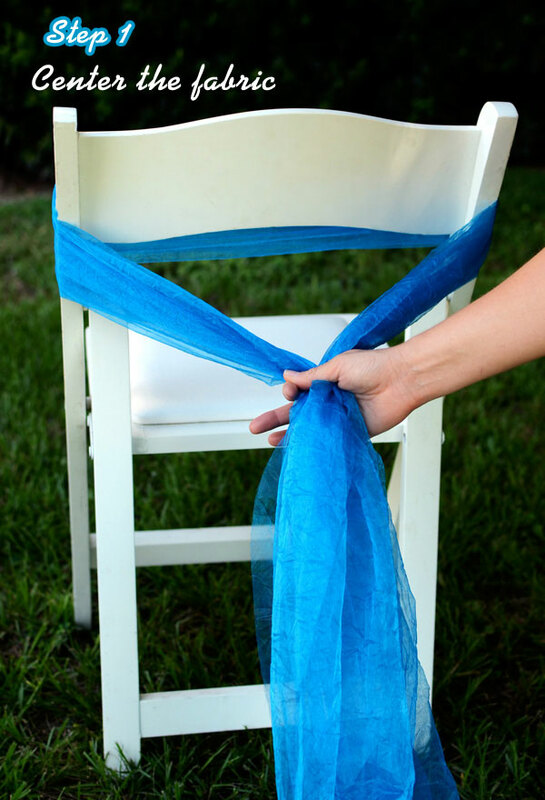 Save some money (by not renting expensive chair sashes) and add a pop of color to coordinate with you party theme! Chair bows and sashes are perfect for any type of party, but are perfect for weddings, engagement parties, anniversary dinners or even for baby and bridal showers. 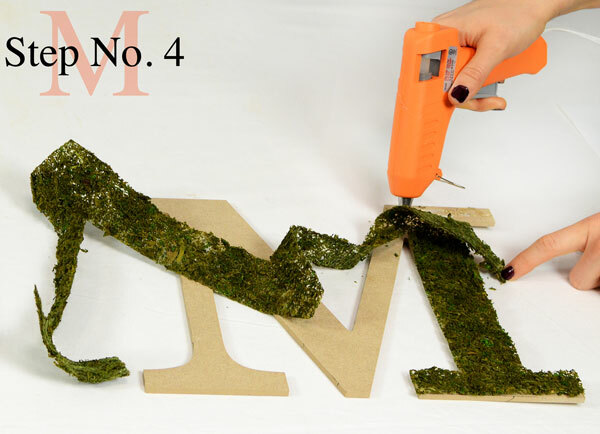 This tutorial uses a 24" wide fabric sold on a roll of 10 yards. This fabric is a crinkled sheer poly organza fabric that adds volume to the rosette. A full selection of crinkle sheer colors is available here. 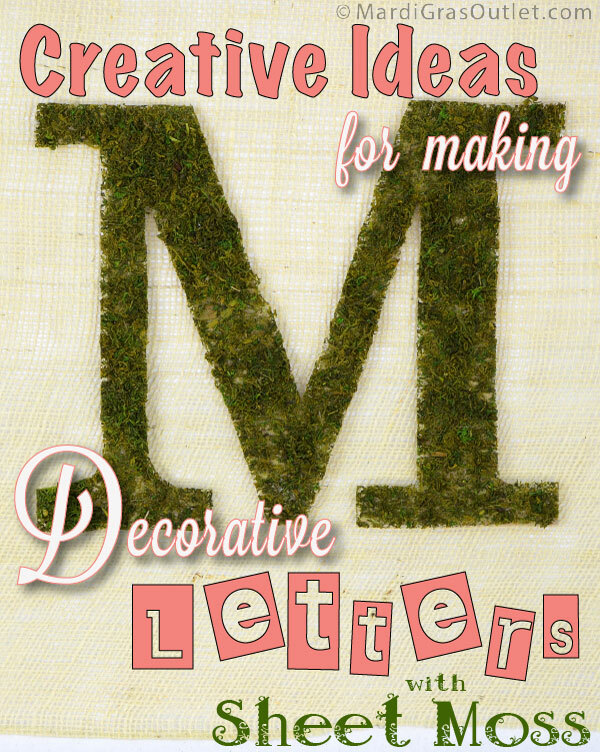 This look can be created with a large variety of fabrics or extra wide ribbons. 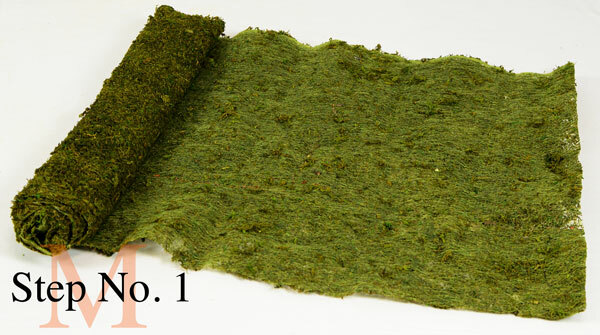 A Rosette without tails uses 5-6 feet of crinkle sheer, and a Rosette with tails uses about 8 feet. Our Crinkle Sheer comes with 30 feet on a roll, which means you can make 4-6 Rosettes with just one roll. 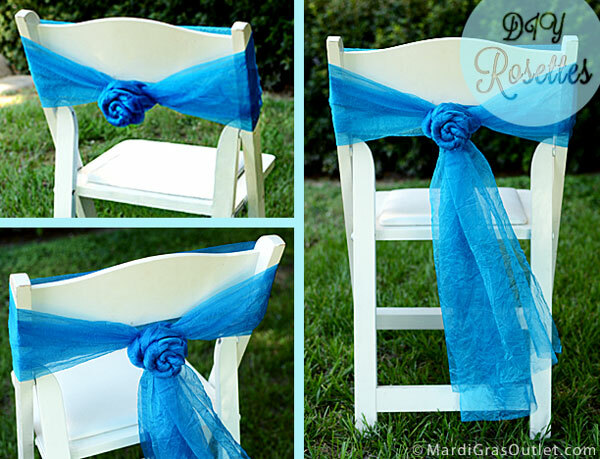 This equates to about $3 per chair bow, a bargain in comparison to renting bows and sashes! Your first Rosette will take about 10 minutes to make, but they will go much quicker the more practice you get. 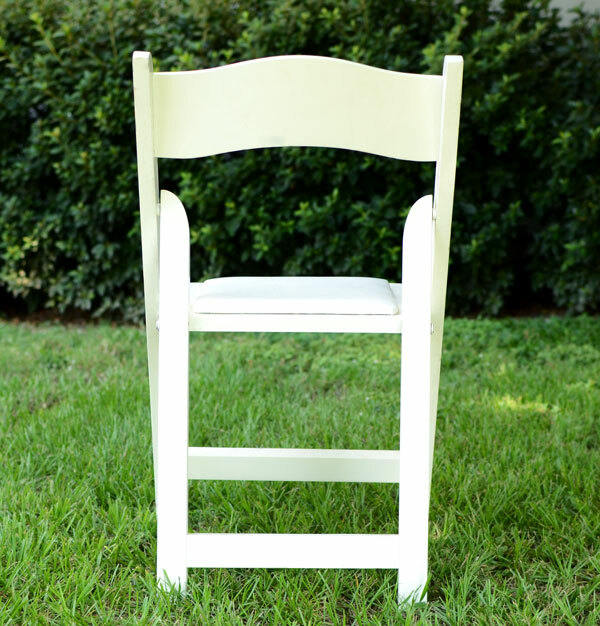 Start with an undecorated chair. Begin by centering your chair in front of you. These rosettes can go on the back of any chair style, which means they don't just have to be for special occasions only. Make sure the center of your fabric meets the center area of the FRONT of your chair back. 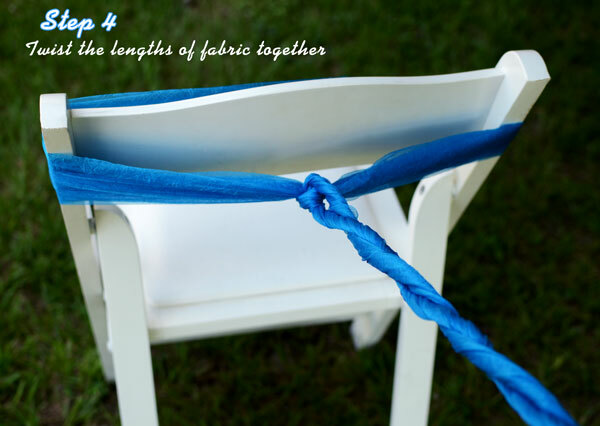 Pull the length of fabric around to the back and ensure the fabric is tight and stays tight through the duration of tying. 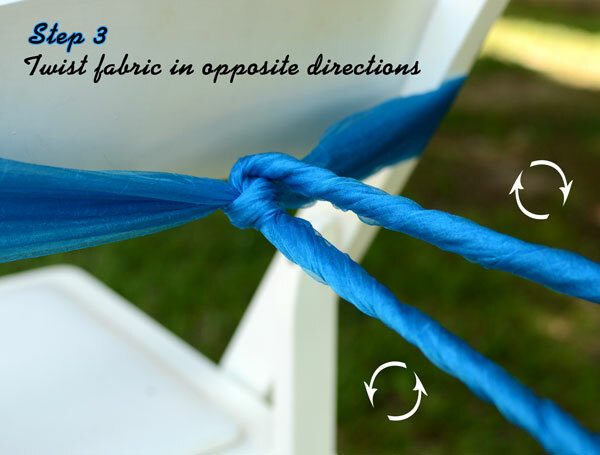 Tie the fabric in a knot at the back of the chair. The smaller the knot you make, the easier it will be to finish off the Rosette in the end. 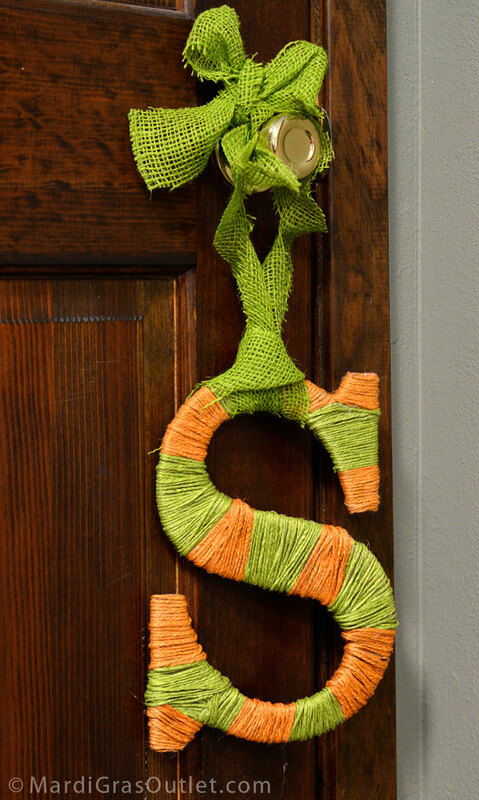 Twist the fabric in opposite directions. The fabric in your right hand should twist in a clockwise direction, and the fabric in your left hand should twist in a counterclockwise direction. 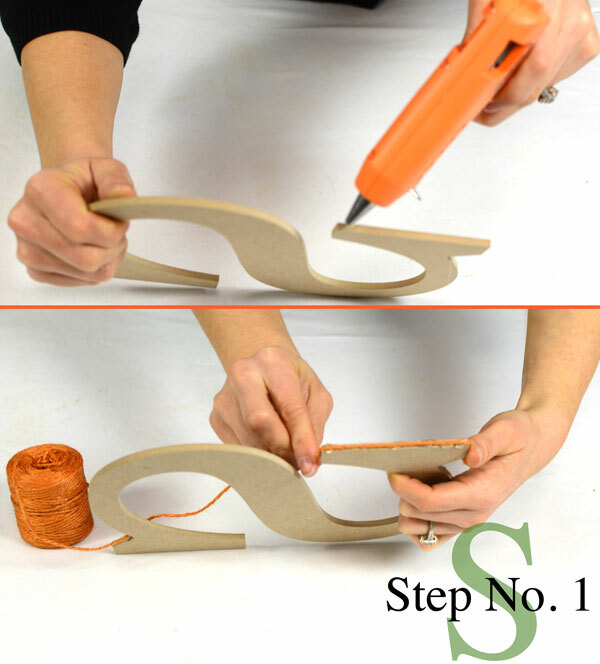 The more tightly and evenly you make your twist now, the more smooth and elegant your Rosette will turn out. If you prefer a more ruffled looking Rosette, than make twists which are slightly looser and less even. 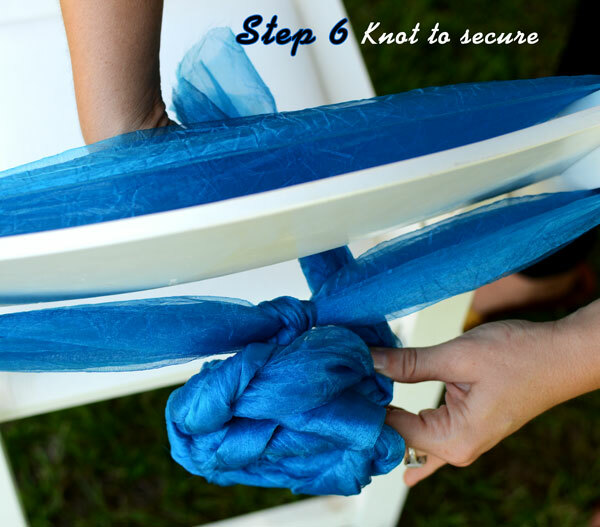 Do not twist the Crinkle Sheer too tightly, you want it to coil at the base of the knot in the next step, not in your hands as you make the twists. 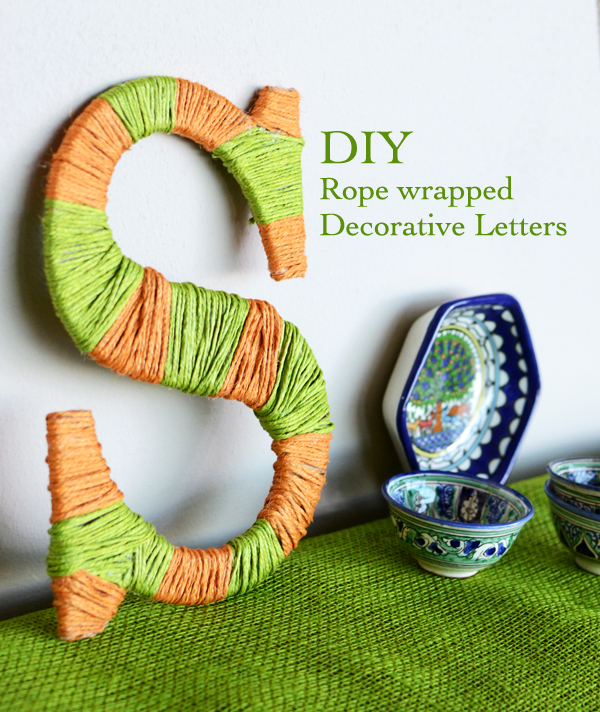 Twist the two lengths of fabric together in the same direction as you will be coiling the Rosette. We twisted ours to the right and the Rosette will now move in a clockwise pattern. Make sure the two sections of crinkle sheer are twisted tightly together. Coil the fabric around itself. If you coil around the base too tightly, it will look more like a braided bun of hair, so make sure to coil loosely. Bring the tail of the fabric twists back the original knot of Crinkle Sheer. 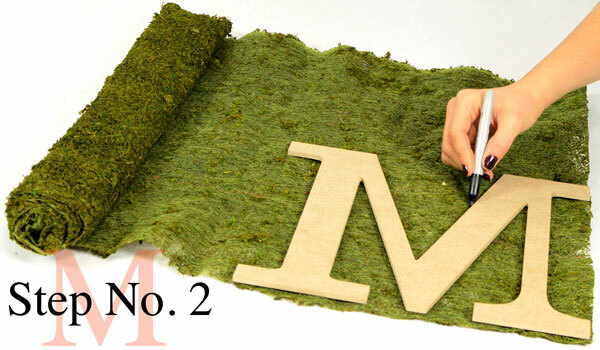 Trim any excess fabric to keep it clean and neat. If your Rosette is loosely coiled or if you are using them for an outdoor event, it may be necessary to secure the Rosette with a safety pin. 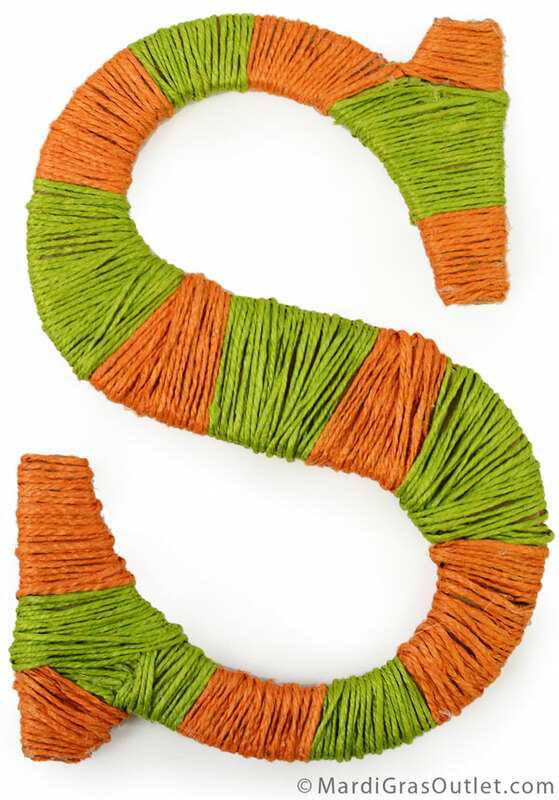 If you have made a Rosette without tails, trim the tail so that there is no extra crinkle sheer showing. 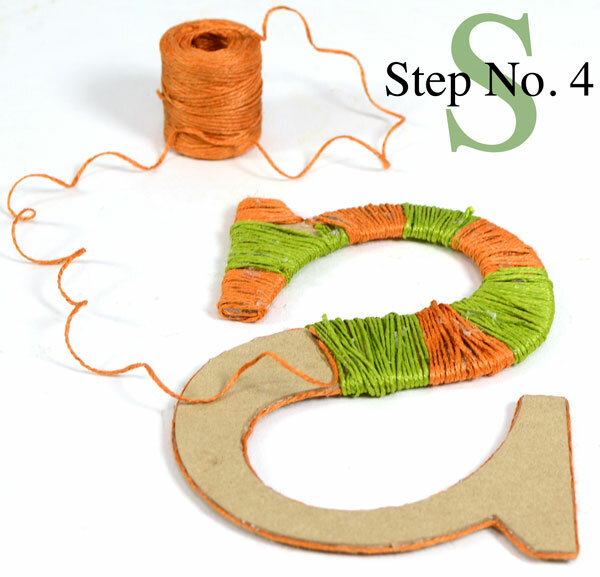 If you have made a Rosette with tails, then you can straighten the tails and trim the two sections to an equal length. 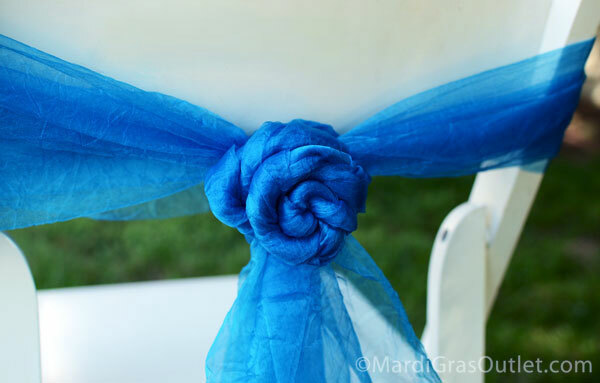 Chair sashes are a nice addition of color to any event or party. 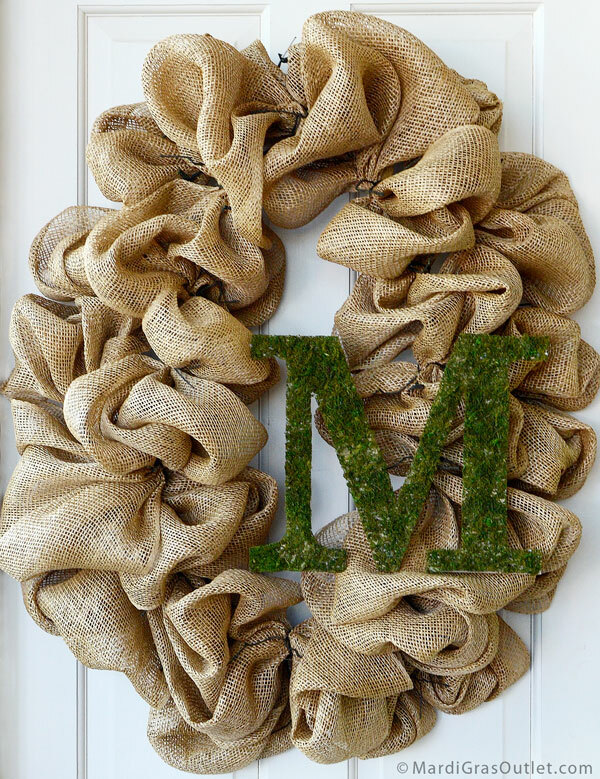 You can even use them for everyday decor on porches or for backyard patio furniture! 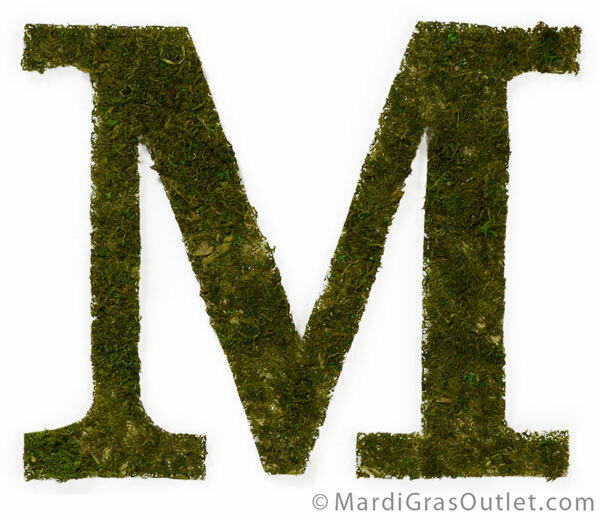 For more product info, please visit our website at www.MardiGrasOutlet.com. 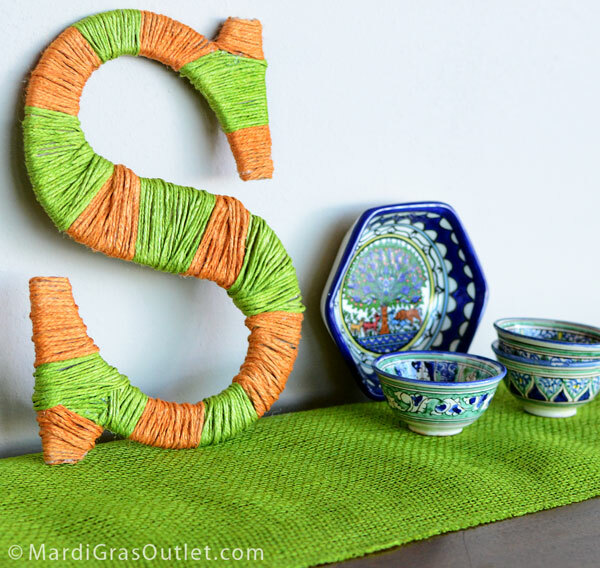 Friend us on Facebook at https://www.facebook.com/MardiGrasOutlet. 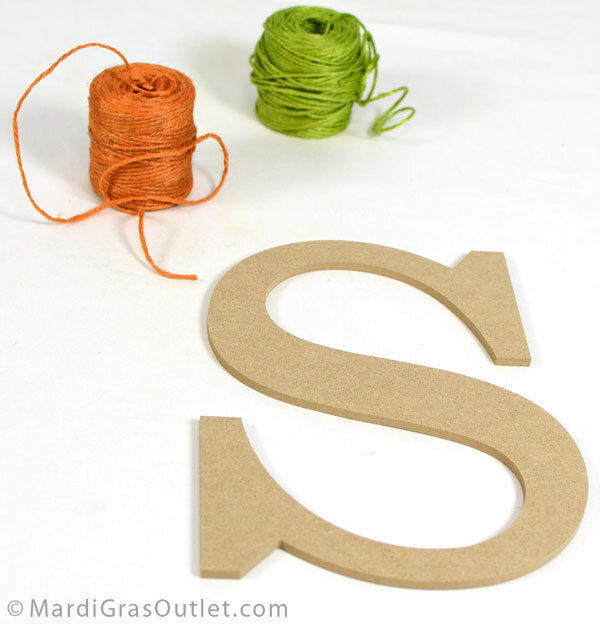 View more of our great craft and decorating ideas on Pinterest: http://pinterest.com/mardigrasoutlet/.